Introducing my first ever Boyfriend Denim. I have been on the lookout for this dapper since a very long time until this V-day shopping spree as I mentioned in the previous post. It is an irony that I found it on V-day and it has now become my most loved pair of denim ever. I am not that a denim kind of person but this one has changed my mood completely. I wear it every single day these days with all possible pairings. This goes well with a crisp cotton shirt, a sweatshirt, a crop top, a well tailored blazer or even a boyfriend blazer. I mean, you name it and you have this pair of denim rocking your look and your outfit anyday, anytime. Never thought it would turn out to be such a versatile number. Totally in Love with it now. I know am a little late on getting my hands on this bad boy and I do regret not having it earlier in my life. Nevertheless better late than never right? 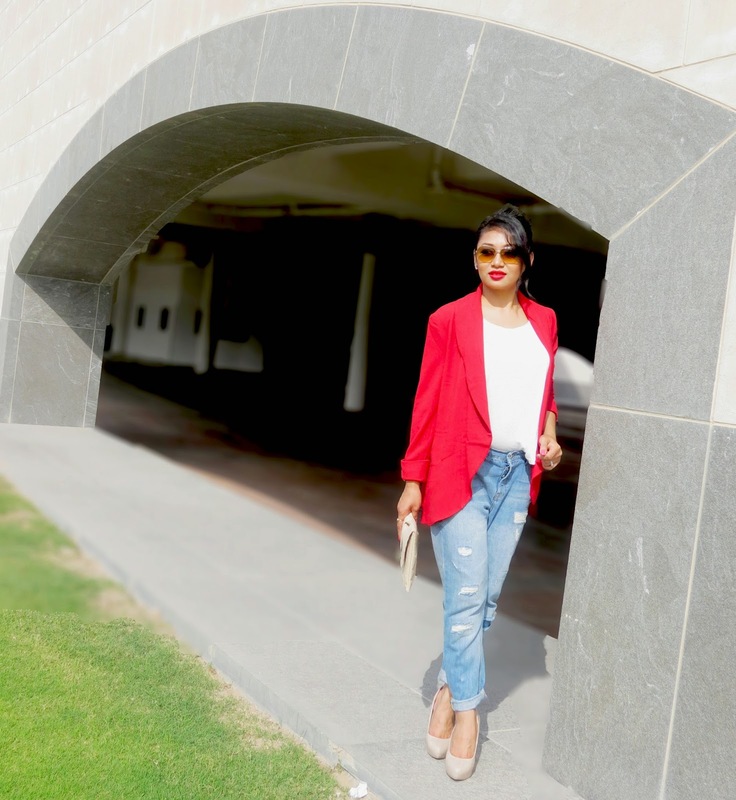 I would love to know how you style your boyfriend denims through your comments and hope you liked this outfit post as much as I did wearing it and bringing it in front of you guys. Love love love love it!!! 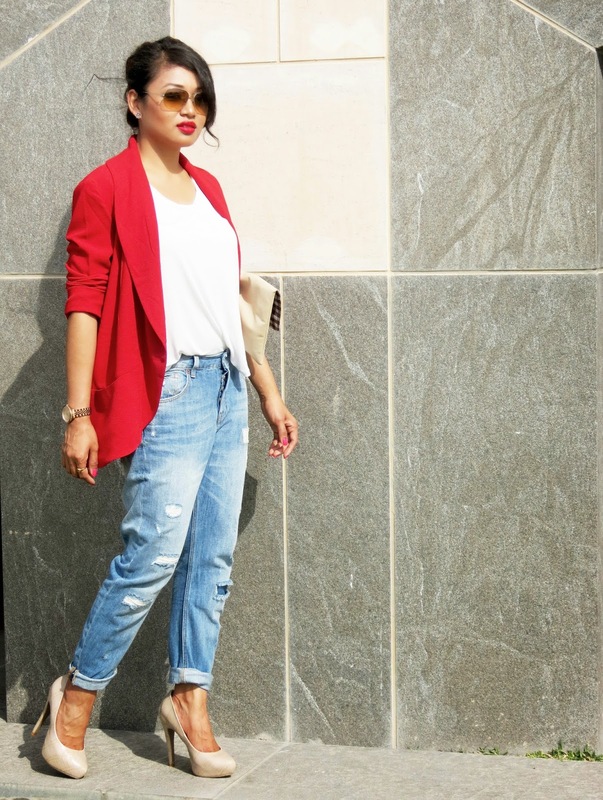 Hey Purva i can say a Red Blazer is just anothetrstaple we need in our wardrobe.....brightens up any outfit..... thank you u so much. Awesome look - LOVE the color blocking with the RED jacket!! these boyfriend jeans have the perfect distressing! love the look! I love the red coat. Looking great, Love the pop of color here. they look great on you and i love how you styled them! And those heels is a killer. Hey Karen thank you so much you liked the look..... am sure you will rock these heels....just go for it..
Nilu thank you so much......lots of love. Nice outfit. I'm loving the blazer colour.